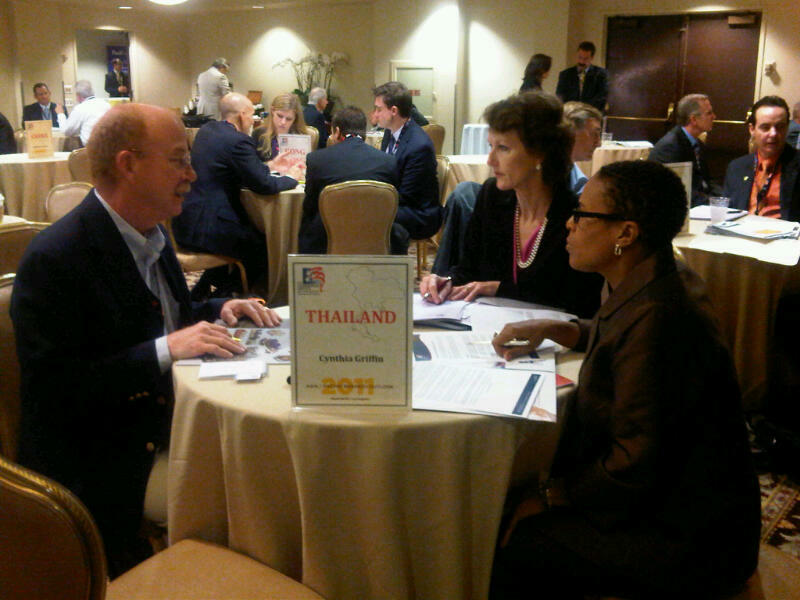 Cynthia Griffin is the U.S. and Foreign Commercial Serivce’s Senior Commercial Officer in Thailand. Where else can a U.S. company meet with U.S. Embassy Commercial Counselors from throughout the Asia Pacific region in one day? 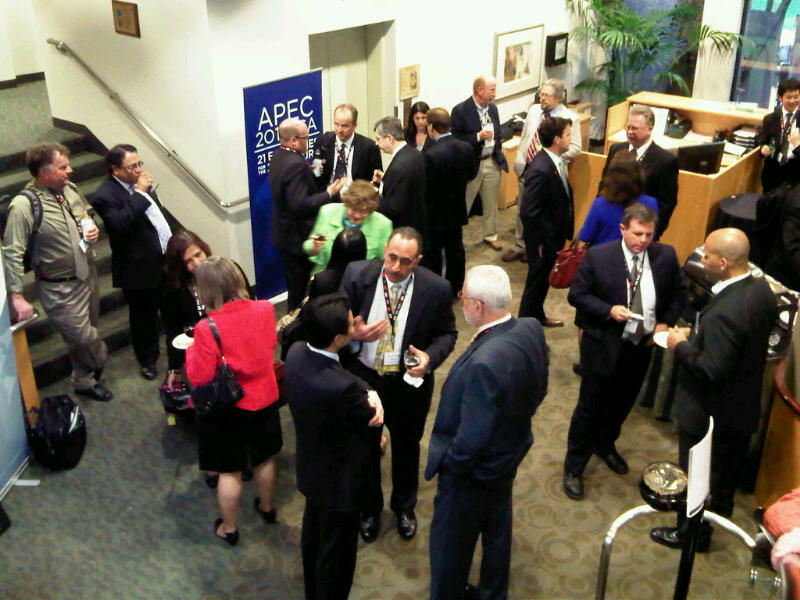 Only at the Asia Pacific Business Outlook Conference in Los Angeles. When the representative of a Florida-based company learned of the Asia Pacific Business Outlook Conference (APBO), she cancelled all of her planned travel to Asia to schedule one-on-one meetings in Los Angeles with Commercial Counselors from her target markets. Through the one-on-ones, she received customized market research and market entry strategies for her product line on a country-by-country basis. Armed with the new information gleaned from the Commercial Counselors, she has a better sense of her overall approach to entering new markets in a systematic manner throughout the region. While it is a challenge to counsel 16 companies back-to-back, the experience is nonetheless exhilarating!!! I, with the help of my Bangkok-based team, have learned about many new companies with products that are ripe for our market in Thailand. Today, I met with companies in: construction management, water filtration, cosmetics, skin care, oil and gas, automotive parts, aircraft parts, telecommunications security, construction equipment, education, beverages, energy conservation, medical equipment and consumer electronics. What a mix of companies! And all have great opportunities in Thailand. Below are some snapshots from my meetings with companies and a flavor of the conference that has well over 400 participants. By all accounts, our keynote speaker during lunch, Ambassador Dino Djalal was engaging and reminded us that America needs to regain confidence and not shy away from the international community, as the international community experiences transformations. Cynthia Griffin, Senior Commercial Officer Thailand meeting with a represetantive of Wilco and International Trade Specialist Julieanna Hennessy. 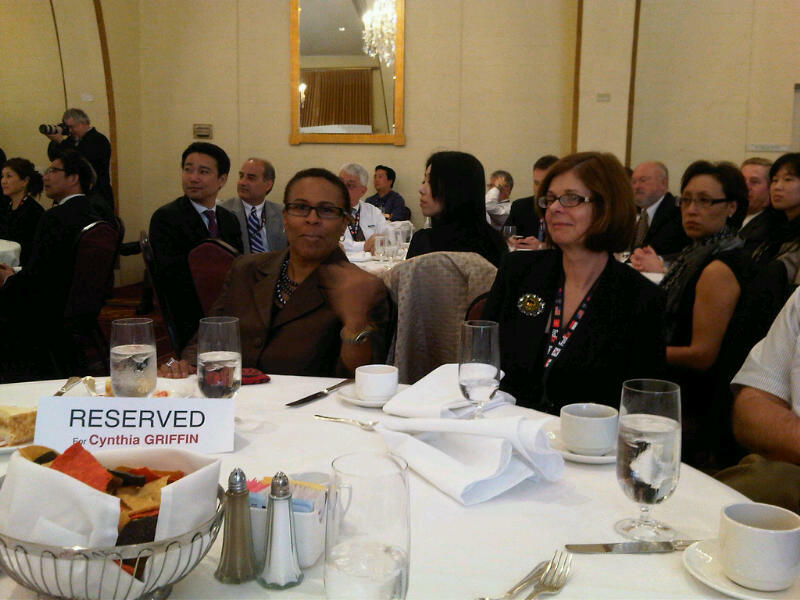 Cynthia Griffin, Senior Commercial Officer Thailand having lunch with a representative from Cardinal Resources. 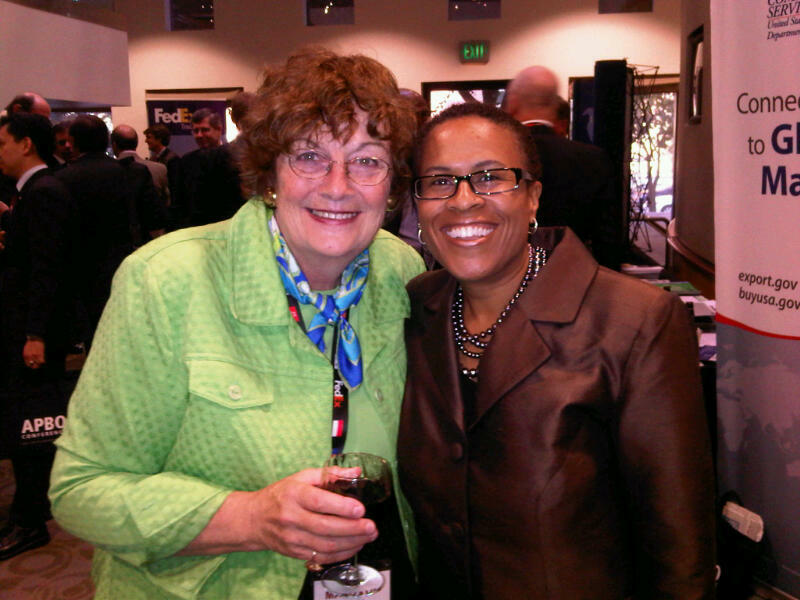 Individuals networking at the APBO 2011 Conference. Cynthia Griffin, Senior Commercial Officer Thailand and Maryavis Bokal, Senior International Trade Specialist at the newport Beach, CA U.S. Export Assistance Center. Tomorrow, I look forward to another productive day as we strive to double exports in line with the National Export Initiative! See you tomorrow!